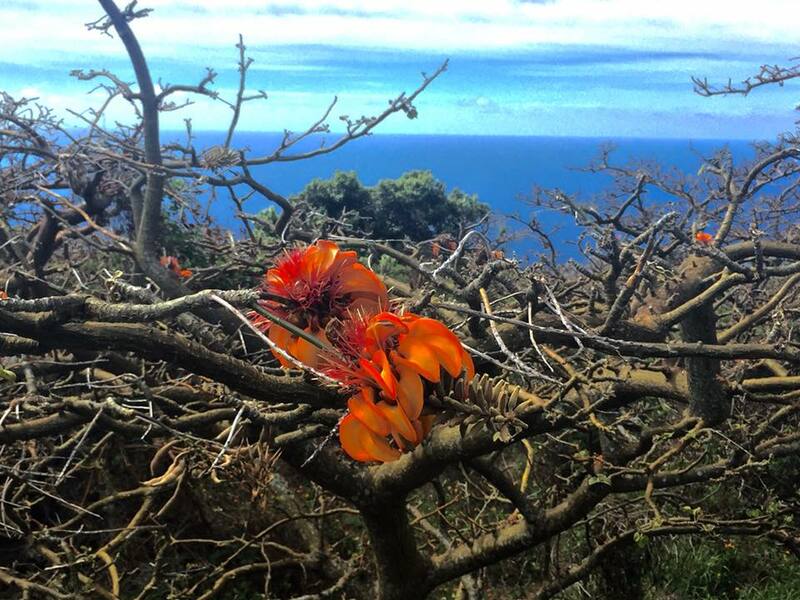 October 2017 – The Hawaiian people have always had a connection to the land and sea and one piece of their knowledge is “when the Wiliwili tree blooms, the shark bites.” -Travelling along the back side of Maui yesterday, we saw the beautiful blooms on the tree and wondered how long it might be before the news reports its first shark encounter . Most shark incidents do happen during the months of October and November, when the wiliwili tree blooms, so what happens scientifically to make this age old adage hauntingly true? Some researchers point to the fact that during the months of September and October, female tiger sharks migrate from the northwestern islands down to the main Hawaiian islands to give birth. During this pupping time, female sharks have much lower energy reserves and in their attempt to replenish them, they might bite on to something they normally wouldn’t. Other researchers say that as the tourism season picks up in the fall, there are in fact more people in the water, making the odds of an encounter more likely than the slower previous months. There are no definitive answers yet as to why Maui’s shark encounters are more numerous in the fall months, but when the wiliwili tree blooms, just use more caution. This is not meant to be alarmist because shark encounters are extremely rare. When you swim, try to avoid waters that are murky. Quite honestly, no one really enjoys swimming in brown water anyway. Scientists also say you should avoid swimming in any areas where freshwater streams meet the ocean as these streams could carry dead animals which are shark attractants. Swimming in numbers is also a good idea and avoid floatation devices where your arms and legs hang off. You might just come across as a large turtle.